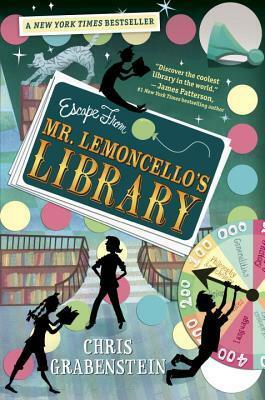 This book is apart of the Mr. Lemoncello’s Library Series. Kyle Keeley is the class clown and an ardent fan of all games: board games, word games, and particularly video games. His hero, Luigi Lemoncello, the most notorious and creative gamemaker in the world, just so happens to be the genius behind the building of the new town library. Kyle wins a coveted spot to be one of the first 12 kids in the library for an overnight of fun, food, and lots of games. But when morning comes, the doors remain locked! Kyle and the other winners must solve every clue and every puzzle if they are ever going to find the secret escape route. Note to Teachers: A great read for kids who loved Charlie and the Chocolate Factory. Thirteen-year-old Stewart is academically brilliant but socially clueless. Fourteen-year-old Ashley is the undisputed “It” girl in her class, but her grades stink. Their worlds are about to collide when Stewart and his dad move in with Ashley and her mom. Stewart is trying to be 89.9 percent happy about it, but Ashley is 110 percent horrified. She already has to hide the real reason her dad moved out; “Spewart” could further threaten her position at the top of the social ladder. They are complete opposites. And yet, they have one thing in common: they—like everyone else—are made of molecules. Ivan the gorilla lives at the Exit 8 Big Top Mall and Video Arcade, where he’s gotten used to humans watching him through the glass walls of his domain. He rarely thinks about his childhood in the jungle anymore. Instead, Ivan thinks about his friends Stella, an elderly elephant, and Bob, a stray dog. And he thinks about art—how to capture the taste of a mango or the sound of leaves with color and a well-placed line. Then he meets Ruby, a baby elephant taken from her family, and she makes Ivan see their home—and his own art—through new eyes. When Ruby arrives, change comes with her, and it’s up to Ivan to make it a change for the better.